Thai Sapodilla, Buah Ciku, 5 fresh seeds"
The fruit is a large ellipsoid berry, 4-8 cm in diameter, very much resembling a smooth-skinned mango and containing 2-5 seeds. 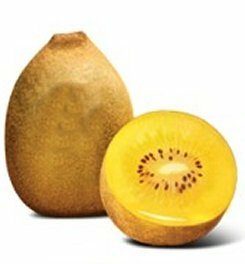 Inside, its flesh ranges from a pale yellow to an earthy brown color with a grainy texture akin to that of a well-ripened pear. 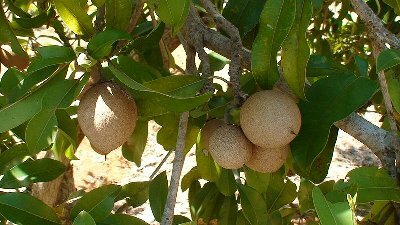 The sapodilla tree is also the source of chicle, a chewing gum component. The plant is a curious intermediary between shrubs and fruit tree, reaching 2 to 9 m (6½ to 30 ft) high. Also grows well in a pot but does not reach the sizes above. The tree's dense and bushy crown is composed of thickish, tough main branches, at the end of which are clusters of deciduous, greenish, 15-to-30-cm long branchlets. The branchlets bear alternate leaves that are oval in form, with short pointed ends. The leaves are 2-7.5 cm long and thin, they are green and smooth on the upperside and blue-green on the underside. In general, the Otaheite gooseberry very much looks like the bilimbi tree leaves. The flowers can be male, female or hermaphrodite. They are small and pinkish and appear in clusters in 5-to-12.5-cm long panicles. Flowers are formed at leafless parts of the main branches, at the upper part of the tree. The fruits are numerous, oblate, with 6 to 8 ribs, develop so densely that they actually form spectacular masses. They are pale yellow or white, waxy, crisp and juicy, and very sour. It has only one seed in each fruit. Eaten here in Thailand and especially throughout the Issan region as a dip with chilli. 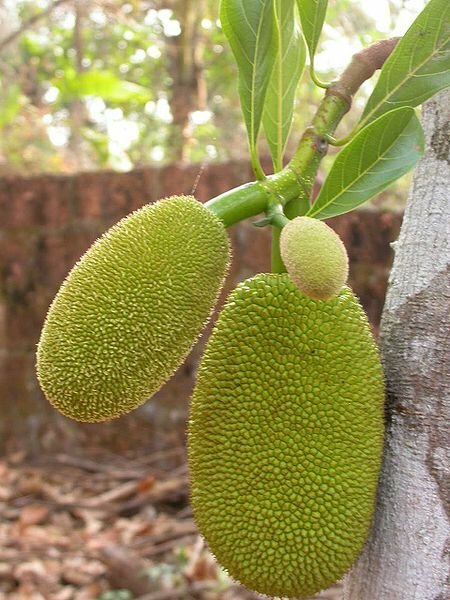 "5 Fresh Thai Jackfruit Seeds"
Unusual variety of Golen Kiwi Fruits, also called “kiwis” or Chinese gooseberries (Actinidia chinensis) are a popular subtropical fruit. Kiwifruit ripen in winter – a good time for us to make use of their plentiful Vitamin C, to ward off winter colds. They are delicious eaten raw or cut into a salad and can be made into a pleasant tasting wine. Male and female flowers grow on different plants, so you need to plant two kiwifruit vines near each other. Kiwifruit grow rapidly, especially if you add some all-purpose fertiliser to the soil before planting. The vines need support – a strong fence or pergola about two metres high works well. One fruiting vine is enough for a home garden. Kiwifruit need well-drained, fertile soil and good shelter from wind and full sun. The deciduous vines can withstand cold winter conditions. 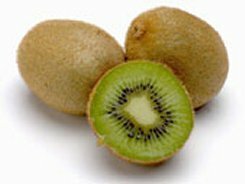 Kiwis will grow in most any well drained soil, but they do best if organic matter is added to the area before planting. It prefers a pH between 5.5 and 7.0. The plant grows well on any soil, even sandy or rocky. Apart from saline conditions, the plant also can withstand drought. The flowers are small, white, growing from a fleshy structure. The nectar is favorite food of honey-eaters. Blooms and fruits year round. Fruits are oval, medium 4-7cm, at first green, turning light yellow or white when ripe with many seeds. The plant can be easily grown in container, tolerates shade, will fruit in a pot. This is a tropical fruit tree that grows year-round has been used for its many healthful benefits. The juice is also a rich source of antioxidants and can help support the immune system and help cells more readily absorb nutrients. Every part of the plant is used medicinally. The plant bears flowers and fruits all year round. It is oval in shape and reaches 4–7 centimetres (1.6–2.8 in) size. 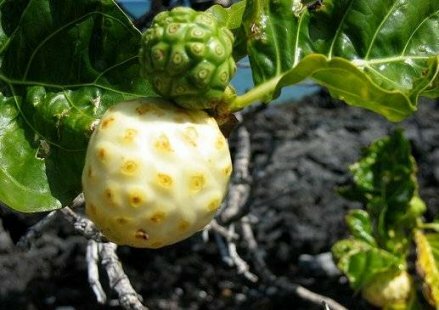 At first green, the fruit turns yellow then almost white as it ripens. 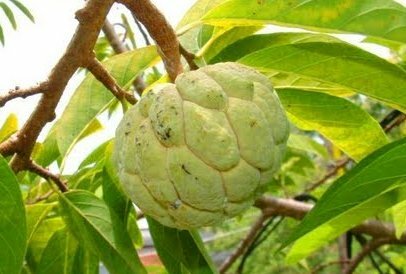 Both in tree and in fruit, the custard apple, Annona reticulata L, is generally rated as the mediocre or "ugly duckling" species among the prominent members of this genus. 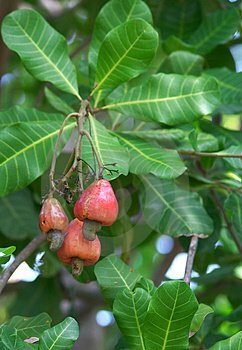 Its descriptive English name has been widely misapplied to other species and to the hybrid ATEMOYA, and it is sometimes erroneously termed "sugar apple", "sweetsop" and, by Spanish-speaking people, "anon" or "rinon", in India, "ramphal", all properly applied only to Annona squamosa. It has, itself, acquired relatively few appropriate regional names. Most commonly employed as an alternate name in English-speaking areas is bullock's-heart or bull's-heart; in French, coeur de boeuf; Portuguese, coracao de boi; in Spanish, often merely corazon—all alluding to its form and external blush. The skin color is reflected in the Bolivian name, chirimoya roia, the Salvadoran anona rosada, and the Guatemalan anona roja or anona colorada. In the latter country it is also known as anona de seso. Araticum ape or araticum do mato are additional names in Brazil. Some people refer to it as Jamaica apple, or as netted custard apple, which is translated as anona de redecilla in Honduras and Nicaragua. Cachiman, cachiman coeur de boeuf and corossol sauvage may be heard in the French-influenced West Indies. In the Netherlands Antilles it is kasjoema. This name and boeah nona are used in Surinam. In Cuba, it is mamon or chirimoya. Some Central Americans give it the name anona, or anonillo; Colombians, anon pelon. To the Carib Indians the fruit was known as alacalyoua; to the Aztecs, quaultzapotl, and to the Maya, tsulimay, tsulilpox, tsulipox, pox, oop, or op. It is generally called in the Philippines sarikaya; in India ramphal, nona or luvuni, in Malaysia, nona kapri, or lonang; in Thailand, noi nong"; in Cambodia, mo bat or mean bat; in Laos, khan tua lot; in South Vietnam, binh bat; North Vietnam, qua na. The custard apple does best in low-lying, deep, rich soil with ample moisture and good drainage. 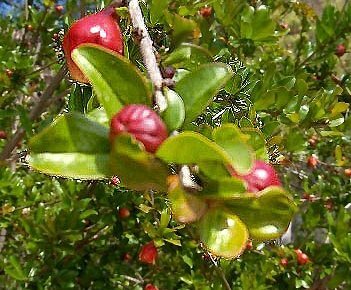 It grows to full size on oolitic limestone in southern Florida and runs wild in light sand and various other types of soil in the New and Old World tropics but is doubtless less productive in the less desirable sites. The tree is fast-growing and responds well to mulching, organic fertilizers and to frequent irrigation if there is dry weather during the growing period. The form of the tree may be improved by judicious pruning. Pomegranate aril juice provides about 16% of an adult's daily vitamin C requirement per 100 ml serving, and is a good source of vitamin B5 (pantothenic acid), potassium and antioxidant polyphenols. These are a very sweet and juicy thai variety. 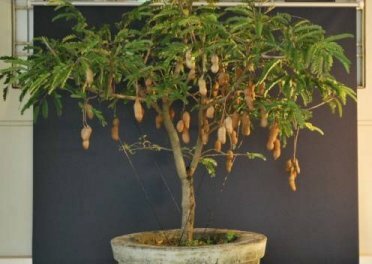 Note: This listing is for seeds of the tree variety (not the ornamental type), and will produce much more significant fruits, and not just flowers. While germinating pomegranate seeds you should keep seeds indoors in moist soil. Plant seeds between 1 - 1 ½ cm deep in soil, and water well. Pomegranate trees mature best in well drained soil, and should be pruned at approximately two foot high. Pomegranate fruits grow only at the tips of new shoots, and you should try and increase their number by pruning over time. Kiwifruit, also called “kiwis” or Chinese gooseberries (Actinidia chinensis) are a popular subtropical fruit. Kiwifruit ripen in winter – a good time for us to make use of their plentiful Vitamin C, to ward off winter colds. Packed with more vitamin C than an equivalent amount of orange, the bright green flesh of the kiwifruit speckled with tiny black seeds adds a dramatic tropical flair to any fruit salad. While germinating - plant seeds approximately 1cm deep into the soil, water soil lightly. Lychees require a warm subtropical to tropical climate that is cool but also frost-free or with only very slight winter frosts not below -4°C, and with high summer heat, rainfall, and humidity. Lychees will not stand heavy frost especially when young. If well sheltered with a guard for the first two winters or until the tree is 1.5 M (five ft) high, it will then stand light frosts to -1 degrees. Growth is best on well-drained, slightly acidic soils rich in organic matter. Lychees have no drought tolerance whatsoever. They must be kept moist at all times. 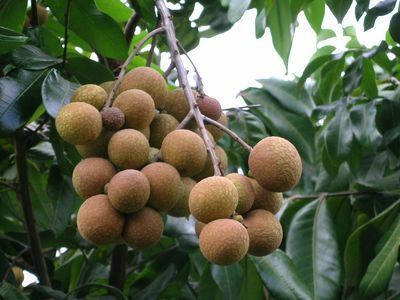 Whereas most trees will wilt when dry, then recover sometime after watering, the Lychee will not recover from a dry-out, but will drop its leaves and eventually die. Protect from frost and cold winds in winter until 2 metres high. 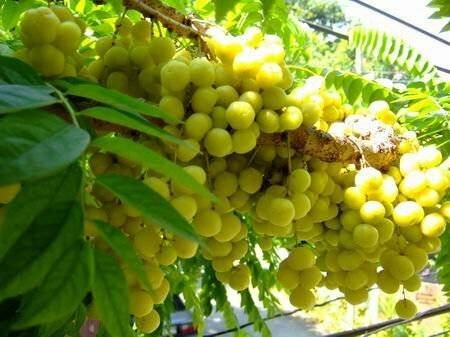 They are also grown as an ornamental tree as well as for their fruit. The Roselle (Hibiscus Sabdariffa) is a species of Hibiscus. It is an annual or perennial herb or woody-based sub-shrub, growing to 2–2.5 m (6 - 8 feet) tall. It is an annual plant, and takes about six months to mature. The taste of these red flower calyxes are mildly acidic and very juicy. Wild grown, purely organic, the plant contains all the natural, best qualities within. How to grow: Roselle is very sensitive to frost. Sow seed in fairly fertile sandy loam soil in nursery bed and transplanted when 3 to 4 inches tall. Require watering regularly to promote growth. 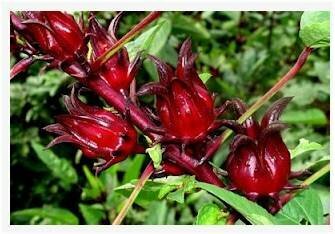 Besides the uses of calyces, the young leaves and tender shoots of the Roselle plant can be eaten raw in salads or cooked as greens with meat and fish. Calyces can be used for making jams and jellies. The tamarind is a long-lived, medium-growth bushy tree which can attain a maximum crown height of 12 to 18 metres. It may also be grown in a pot, reducing significantly its height. The crown has irregular vase-shaped outline of dense foliage.Leaves are evergreen, bright green in colour, The branches droop from a single, central trunk as the tree matures and is often pruned in human agriculture to optimize tree density and ease of fruit harvest. At night, the leaflets close up. The tamarind does flower, though inconspicuously, with red and yellow elongated flowers. Flowers are 2.5 cm wide with five petals borne in small racemes, yellow with orange or red streaks. Buds are pink due as the 4 sepals are pink and are lost when the flower blooms. The tree grows well in full sun in clay, loam, sandy and acidic soil types, with a high drought and aerosol salt resistance. The fruit of the tamarind is most commonly reserved for consumption, whether raw or cooked or prepared in some other manner, according to the regional and cultural palate. The fruit itself is an elongated-rod, 12 to 15 cm in length, and covered in a hard, brown exterior. The fleshy, juicy, acidulous pulp of the fruit is mature when coloured brown or reddish-brown. The fruit is considered ripe when the pods are easily pried open with fingers. Tamarind is one of the staple ingredients used in Thai Cuisine, alongside chili, lemongrass and Lime. The fruit is widely distributed in a Tamarind Paste, which is used in numerous Thai curries. The Tawith or without seeds and then packed and sold as a paste on markets and supermarkets. To add more taste to a Thai curry using tamarind paste, pour 3 or 4 teaspoons of water over the tamarind paste, squeeze the paste to extract the flavor and then pour into the curry. Germinating: Steep the seed in tepid water for a few hours before sowing. Sow in a shallow pot containing a mixture of seed compost and grit, just cover the seeds and keep warm, preferably with bottom heat, at 20°C for at least 3 weeks. When shoots emerge, keep damp, in a warm light place but not in direct sunlight. For a cooler climate it will live in a pot for several years and is easy to grow as a houseplant. This seed is very easy to grow to a mature evergreen tree, though does require a warm environment so is best suited for indoors, or a well protected planting. Planting Instructions: Use a well draining soil mixture and plant the seeds at a depth of about 1 1/2". Keep warm and in bright light with high humidity. Keep soil lightly moist - not soaking wet. The rambutan, Nephelium lappaceum, is a fruit considered exotic to people outside of its native range. To people of Malaysia, Thailand, the Phillippines, Vietnam, Borneo, and other countries of this region, the rambutan is a relatively common fruit the same way an apple is common to many people in cooler climates. From flowering to ripe fruit, it takes 90 days or more. The green fruits start to turn yellow and then red, sometimes quite rapidly. In some years, the process from green to red can take place in 5 to 10 days. The word "rambut" in the fruit name 'rambutan' is Malay for 'hairy,' and this refers to the spiky rind. Indeed, without the soft spines on the rind, the rambutan would resemble the lychee (or litchee) which is in the same botanical family. The structure internally is quite similar, with a single central inedible seed and edible white flesh wrapped around it but the skin is the part that makes the rambutan so distinctive in appearance. Growing Instructions: Full sun & good air circulation with some humidity is preferred, Sow the seed directly into deep soil with well-drained soil and a lot of organic matters. The Rambutan tree cannot tolerate a temperature below 10 degree Celsius. Water regularly and is essential during dry sessions. The seed should be planted horizontally with the flattened side downward in order that the seedling will grow straight and have a normal, strong root system. Seeds will germinate in 9 to 25 days. 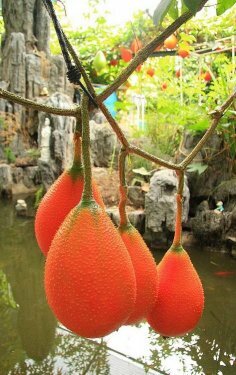 Gac (Momordica Cochinchinensis Spreng) is a tropical fruit found in Thailand, Vietnam and other regions of Southeast Asia where it is greatly valued for its many important health benefits. Gac grows on vines and is usually collected from fence climbers or from wild plants. The vines can commonly be seen growing on lattices at the entrances to rural homes or in gardens. It only fruits once a year, and is found seasonally in local markets. The fruit itself becomes a dark orange color upon ripening, and is typically round or oblong, maturing to a size of about 13 cm in length and 10 cm in diameter. Its exterior skin is covered in small spines while its dark red interior consists of clusters of fleshy pulp and seeds. It is esteemed as the “fruit from heaven” and is prized for its ability to promote longevity, vitality, and health*. Unknown to indigenous folks, gac is a fountain of antioxidants, as recent research unveiled. Gac is a super fruit and has been shown to be very high in lycopene content. Relative to mass, it contains up to 70 times the amount of lycopene as found in tomatoes. It has also been found to contain up to 10 times the amount of beta-carotene (vitamin A) of carrots or sweet potatoes.Additionally, the carotenoids present in gac are bound to long chain fatty acids, resulting in what is claimed to be a more bio available form. There has also been recent research that suggests that gac contains a protein that may inhibit the proliferation of cancer cells. Traditionally, gac has been used as both food and medicine in the regions in which it grows. Other than the use of its fruit and leaves for special culinary dishes, gac is also used for its medicinal and nutritional properties. In Asia, the seed membranes are said to aid in the relief of dry eyes, as well as to promote healthy vision. The Longan Berry has a thin brittle olive-brown outer shell that is easy to crack open. 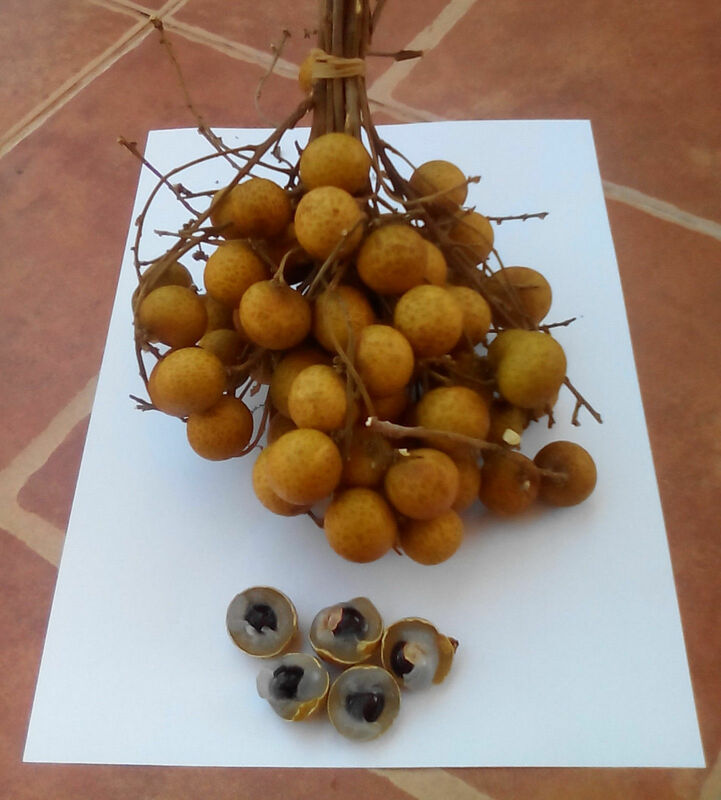 Longan are sweet and are not as messy to eat as Lychees and have a more trpical perfumed taste. To germinate: Place the longan seeds on a damp paper towel. Roll up the paper towel so encasing the seeds. Seal it in a tupperware box or plastic bag and put it in a warm location for two or three weeks. After this time the seeds should start to germinate. Once they have germinated plant each one in large pot roughly one inch deep in moist compost. 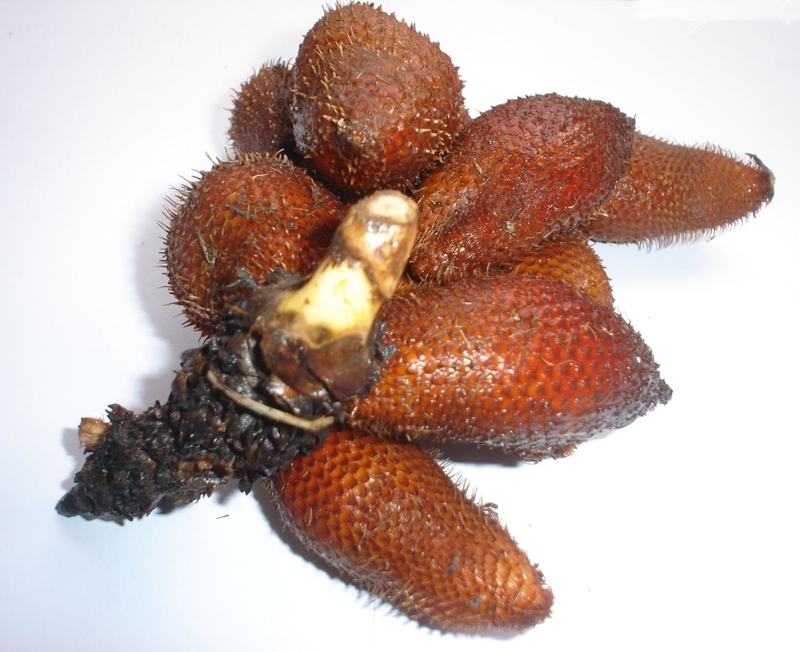 The Salak fruit grows in clusters at the base of a palm, and are also known as Snake Fruit due to the reddish-brown scaly skin. They are about the size and shape of a ripe fig, with a distinct tip. The pulp is edible. The fruit can be peeled by pinching the tip which should cause the skin to slough off so it can be pulled away. The fruit inside consists of three lobes, each containing a large inedibleseed. The lobes resemble, and have the consistency of, large peeled garlic cloves. The taste is usually sweet and acidic, but its apple-like texture can vary from very dry and crumbly to moist and crunchy. A refreshing fruit with a sweet taste somewhere between a pear & a strawberry. 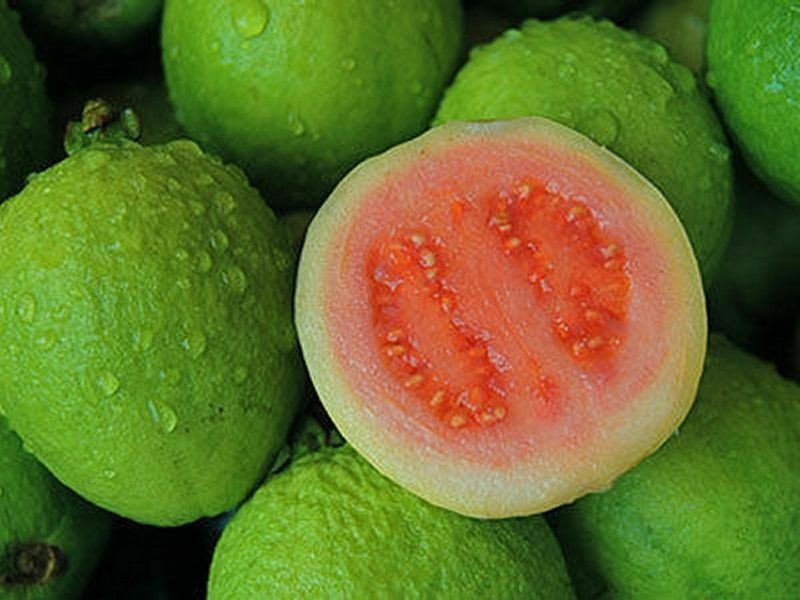 The Guava is commonly known as Ferang in Thailand. Farang also means foreigner in Thai. The tree has smooth brownish bark, light green oval leaves, and white flowers. The guava shrub requires low maintenance, and is relatively easy to cultivate. The seeds germinate easily if sown in potting soil and kept warm. The germination takes longer than you might think, 4-6 weeks. After the seedlings get large enough to handle, transplant them to larger pots. 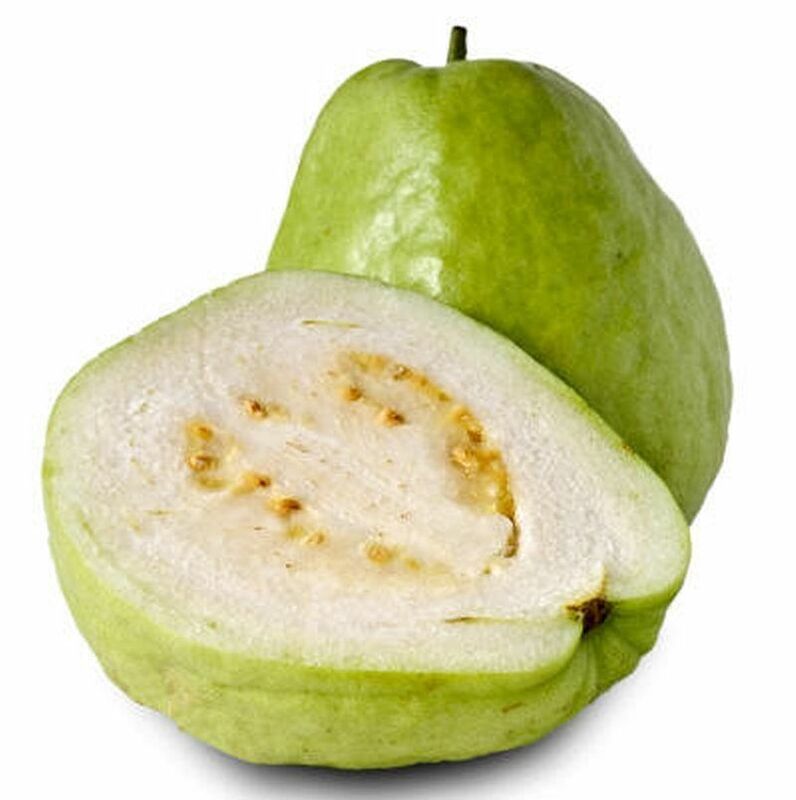 The guava seems indiscriminate to soil type, doing equally well on heavy clay, marl, light sand, gravel bars near streams, or on limestone; and tolerating a pH range from 4.5 to 9.4. Guavas do grow best in hot areas which do not get frost. However, They can, grow in most places where the winters are not too cold. If they are planted where there is a little frost, the young trees must be covered. They prefer well-drained soil .